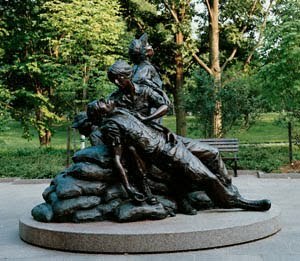 Was it only six years ago when I realized that the Vietnam war, contrary to the historic record, was not over after all? 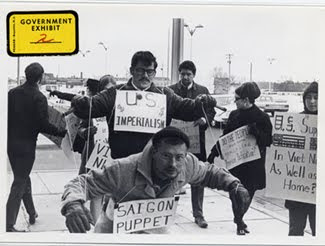 I'm talking, of course, about Vietnam vet John Kerry and what he did (or didn't) do in protesting a war he once fought in, dredged up during the 2004 Presidential election between Kerry and George W. Bush, whose own military record also came into question. The group that most influenced me at the time was the VVAW, the Vietnam Veterans Against the War. It was one thing for civilians to oppose the war. It was quite another thing to see soldiers who had been fighting the war then come out against it. In time, I found about some of the history of conflict in Vietnam, the fighting against the Japanese and the French, among others. The French defeat at Dien Bien Phu in 1954 might have signaled the end of colonial occupation, but it led to greater involvement by the Americans, first in small numbers of analysts in the 1950s to massive numbers troops in the mid-1960s, facilitated in no small part by the prevarication that was the Gulf of Tonkin resolution in August of 1964. My general disinclination towards war is fueled by the belief that even in a "good war" (a true oxymoron), bad things, unintended things occur. Even the "good guys" get it wrong sometimes, regardless of the safeguards. Thus war should always be a last resort, not a first option. In a bold attempt to be "fair and balanced, I point out to you The Politically Incorrect Guide™ to the Vietnam WarK -- "the latest installment in Regnery Publishing’s bestselling Politically Incorrect Guide™ (“PIG”) series -- [Phillip] Jennings gives you the surprising truth, and backs it up with facts that liberals ignore." I actually agree with both of those statements, but not with most of the others. 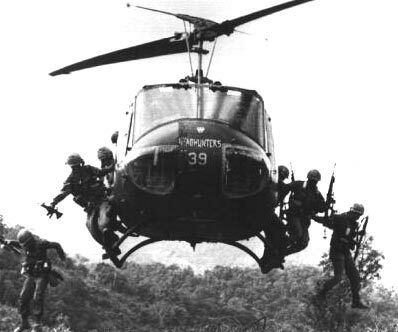 Thirty-five years after Vietnam and we're still fighting the war. Pete Seeger: Waist Deep in the Big Muddy from the Smothers Brothers Comedy Hour. Pete turns 91 on Monday.